Stop by the showroom and check out the huge inventory on hand. We buy in volume to get the lowest prices so we can pass the savings on to you. Keeping a large inventory on hand means you get the parts you need right away with the very best customer service. 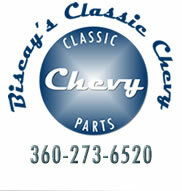 Parts: We specialize in 1964-72 Chevelle and El Camino, 1967-73 Camaro, 1962-74 Nova, and 1967-69 Firebird cars. Other year or other model parts are kept in stock or can be ordered. We have many parts not listed in the catalog so ask if you want something you don’t see. We get our products from Ted Williams, Sherman, Goodmark, OER, PUI Interiors, American Cushion, American Auto Wiring, Inline Tube, Trim Parts, Dynacorn, Metro Super Soft Seals and other quality suppliers. 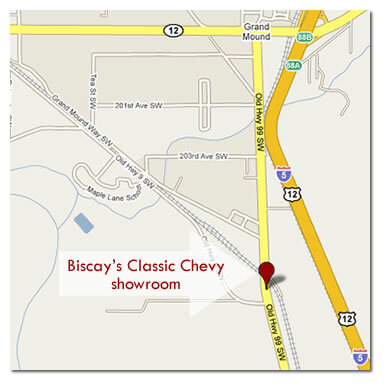 Retail showroom: Stop by our showroom to check out all the many items available these days. Swap stories of your classic car or the one you used to own that you sold years ago, which is now worth a fortune (we know all about the ones that “got away”). We are open 6 days a week in order to serve your restoration needs. With deliveries from UPS, FedEx, and truck freight arriving daily we seldom run out of the parts you need. Shipping: Daily, we ship your orders through FedEx or by truck freight for larger items like fenders, hoods, and quarter panels. Speaking of shipping, we suggest you compare shipping charges from Biscay’s against shipping and “handling” charges from other companies. We ship your order quickly. With us, you come first. Thanks for allowing us to serve you since 1988. 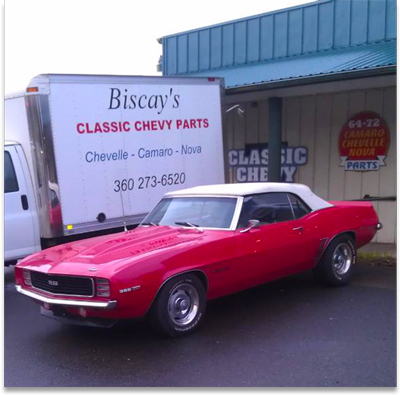 Copyright © 2009-2019 Biscay's Classic Chevy. All rights reserved. 20937 Old Highway 99 SW #100, Centralia, WA 98531 USA. Call us at 360-273-6520. Website by Mad Bird Design, LLC.